This post on the Dark Sky was shared with us by Brickyard Creek Community Member and Boreal Forest Citizen, Fred Lebolt. One evening last October, Jeff Garrett and I stepped back in time 2.5 million years. How? 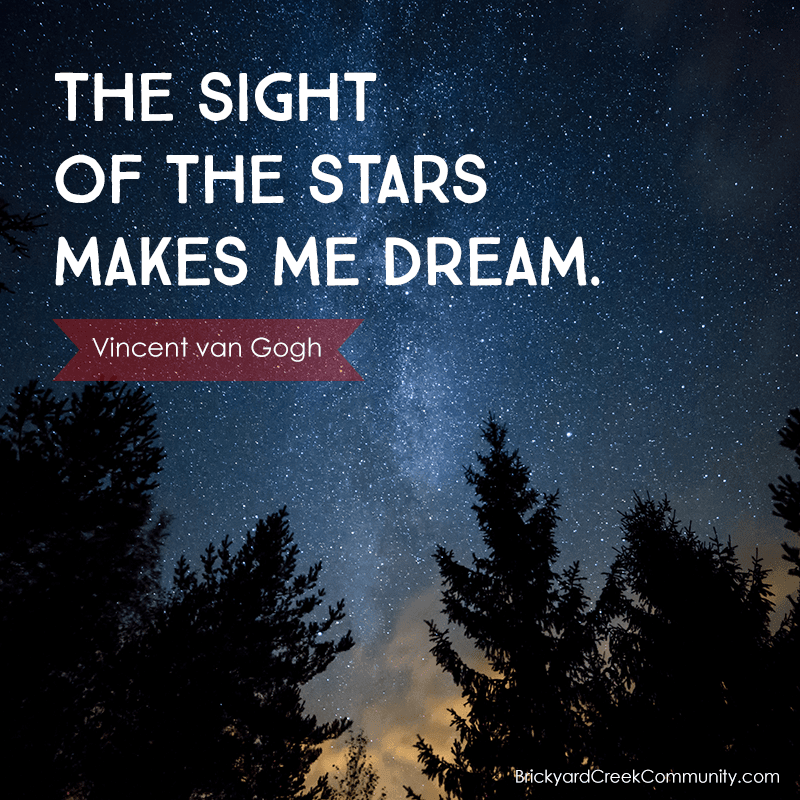 By going out to the newly constructed viewing deck in the clearing off Brickyard Creek Road, and catching a glimpse of the Andromeda Galaxy through a pair of binoculars. 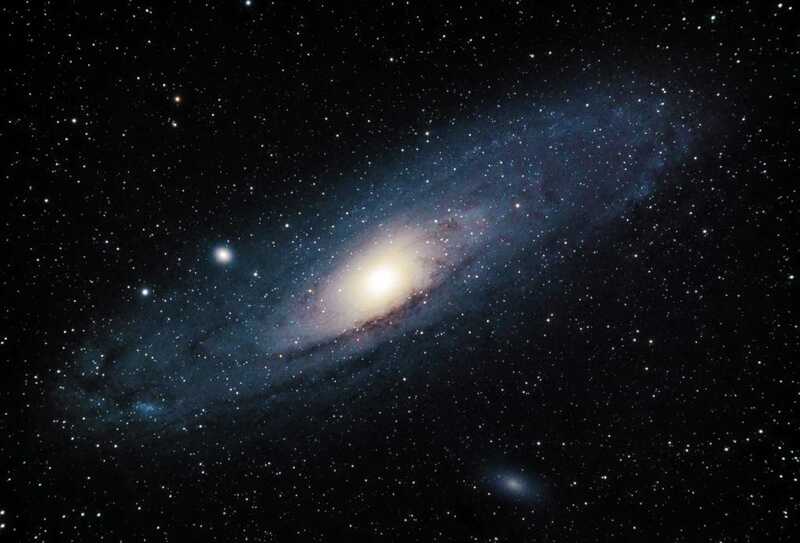 The faint glow of Andromeda we saw spent the last 2.5 million years travelling through space at the speed of light – an imponderable 671 million miles per hour — before reaching our eyes. Such are the wonders of the night sky. Clear, dark sky is one of the natural resources we should all enjoy and treasure at Brickyard Creek, no differently than the boreal forest or the waters of Lake Superior. Because of light pollution, dark sky is rapidly disappearing from our lives, not only removing us from the splendor of the cosmos, but also adversely affecting everything from bird migration to human sleep patterns. Our new deck is a way for all of us to reconnect with the stars. It was designed to comfortably accommodate a telescope, tripod, and several people. The location was chosen to maximize the clearing’s relatively open views to the west, east and south, with a partial view to the north. What do you need to appreciate the night sky? Literally, nothing. Just look up. Take in the vast canopy of stars above. On a cloudless night, you might be able to observe the Milky Way and identify constellations. Don’t be surprised if you catch the occasional satellite or the International Space Station silently blinking overhead. If there’s a meteor shower, grab a folding reclining chair and enjoy the show. Through June, Saturn, Jupiter and Mars are visible at different times of night. There are plenty of online tools and guides that can help you pinpoint the location of planets and stars. The Brickyard Creek Community Deck was constructed in the summer of 2015 inside the clearing on Brickyard Creek Road with the help of the Forest and Watershed Committee. The 10 foot diameter, octagonal deck is perfect for morning yoga, an afternoon lunch or night stargazing. The Brickyard Creek Community is a special place to each one of us. As an association, we have collectively committed to become environmental stewards and practice a philosophy of enhancing and sustaining the uniqueness of this special place. The proximity to Boreal Forest and the Big Water of Gitchie Gummie — Lake Superior — allows each of us to witness the beauty (and the power) of nature while we contemplate our individual significance, as well as our role and our shared responsibilities in this woodland community. The Forest and Watershed Committee continually strives to be the foundation for stewardship here at BYC and in partnership with the larger community of Bayfield.